Szechuan strawberry, Japanese flowering dogwood, Japanese dogwood and kousa dogwood. Can grow to 8m height and spread, but is usually around 6m. Flowers early summer, colourful leaves and fruits in autumn. Happy in any soil type and pH so long as it’s well drained. Will tolerate any aspect and both exposed and sheltered sites. Oval, green leaves hang delicately from spring until autumn, when they turn bright red-purple before falling. In early summer clusters of tiny green flowers appear surrounded by four creamy-white bracts, which appear like petals. Deep pink, strawberry-like fruits appear on tall stalks, although in milder climates the tree will only produce fruit after a hot summer. 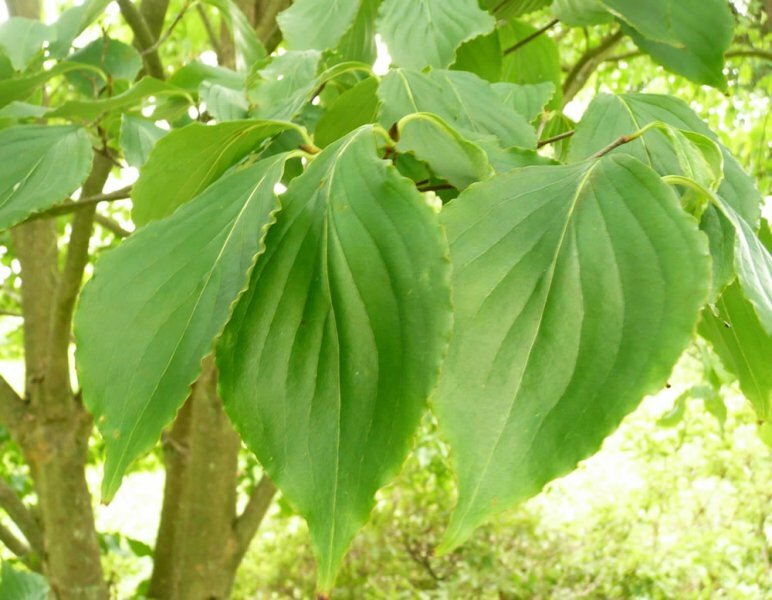 Useful in beds or borders, where it can be used like a large shrub or pruned into a standard form to raise the canopy above the other plants. 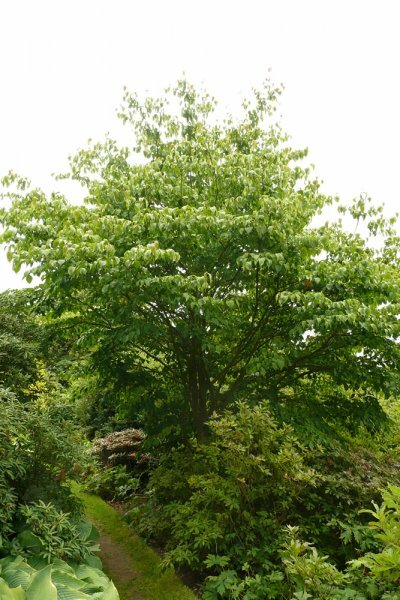 A good specimen tree for a small garden, although it will be bare over winter. Requires little maintenance. Pruning (see below) should be kept to a minimum. Pruning is only needed to remove dead wood after flowering. If you wish to clear the stem to create a standard form, prune it from autumn to early spring. 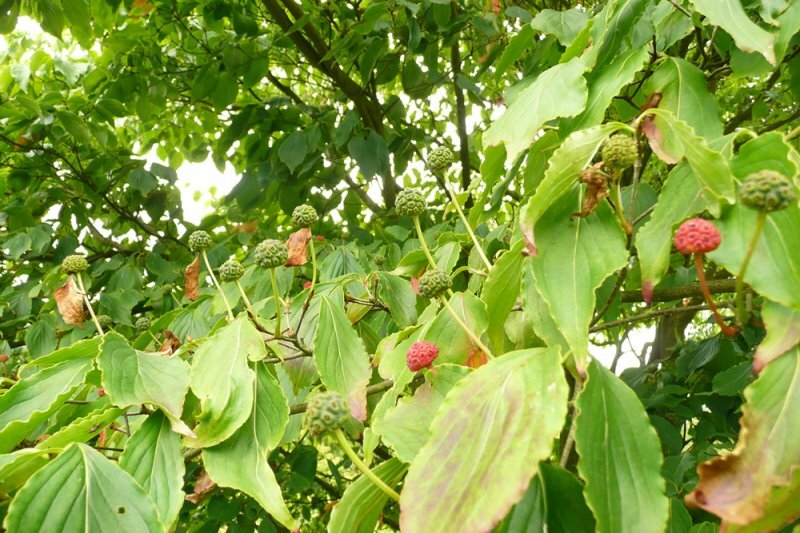 Otherwise keep pruning to a minimum; Cornus kousa does not tolerate hard pruning. 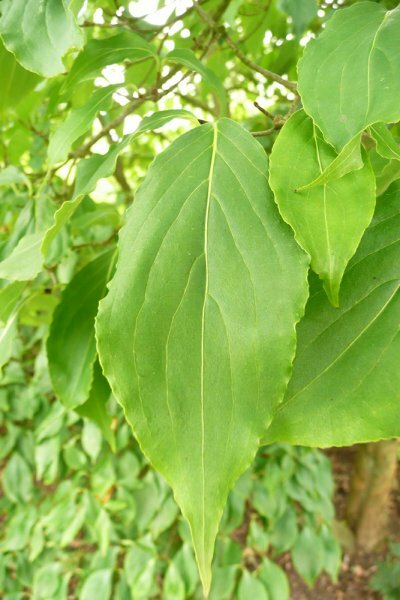 Can be propagated by semi-ripe cuttings in late spring to early summer. Seeds can be collected; extract them from ripe fruits, cold stratify and then sow in late winter to early spring. 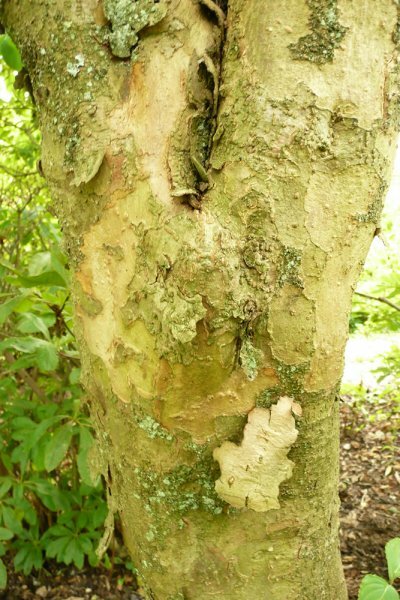 May suffer from cornus anthracnose, although it is less susceptible than other Cornus species, and honey fungus. Pests don’t tend to be a problem. The red fruits are edible but may cause a mild stomach upset if too many are eaten.